Kapuso stars will be in Cebu City this weekend as part of the network’s participation in one of the country’s grandest and most anticipated festivals. 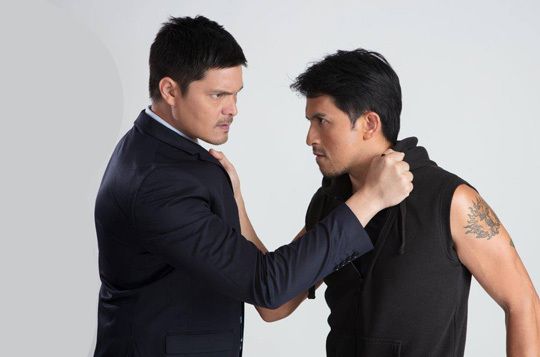 Today, Cain at Abel’s Dingdong Dantes and Dennis Trillo will be in Gaisano Grand Fiesta Mall Tabunok in Talisay City for a Kapuso Mall Show at 3:00 p.m. Flying into Cebu as well are their co-stars in the primetime series actress Solenn Heussaff and Sanya Lopez. The Cain at Abel cast will later head on to Robinsons Galleria Cebu for a fun-filled Kapuso Fiesta at 6:00 p.m. And tomorrow, Jan. 20, they will board the Kapuso float and tour the major streets of Cebu City during the Sinulog Grand Parade. GMA Cebu will also have a live coverage of the parade beginning at 7:00 a.m.. The Pit Senyor: The Balitang Bisdak Special Live Coverage will be hosted by Balitang Bisdak anchors Bobby Nalzaro, Alan Domingo, and Cecile Quibod-Castro, together with Balitang Bisdak correspondents Chona Carreon, Lou Ann Mae Rondina, and Nikko Sereno. Online, the Pit Senyor: The Balitang Bisdak Special Live Coverage will be seen via live stream from 7:00 a.m. onwards on GMA Regional TV’s official websitewww.gmanetwork.com. Yesterday, Jan. 18, the lead stars of the much awaited GMA primetime drama series Kara Mia Barbie Forteza and Mika dela Cruz were at Gaisano Grand Mall Jai Alai Cebu City for a Kapuso Mall Show at 3 p.m. Joining them for back-to-back performances and surprises were their co-stars Jak Roberto and Paul Salas. Another treat awaited Cebuanos as young actresses Kyline Alcantara and Therese Malvar of another upcoming drama series, Inagaw na Bituin, joined them in the mall show. Afterward, the cast of the two shows headed on to Ayala Center Cebu to sing, dance, and party with their fans in a Kapuso Fiesta at 6:00 p.m.
“While 2018 has been a great year for GMA Regional TV, we believe that we can do more,” shares GMA RTV Vice President and Head Oliver Amoroso. “And this 2019, we prepared a lot of activities and surprises for our Kapuso all over the country. We are also treating our viewers with various mall shows featuring the most-sought actors of this generation. Even before, we believe our regional viewers play a crucial role in our success as the leading broadcast company in the Philippines. This is why we remain committed to giving them quality shows and activities on the ground, on TV, and now even online,” he adds.